My Boys and my niece! I am a wife, mother, daughter, sister, and friend. I’m Michelle. My love for baking started many years ago as a little girl in my Mimi’s and my mothers kitchens. Little did I know my love would continue to grow so much over the years. They were always creating some work of art and making the house smell amazing! Of course all with a smile on their faces and a mess every where! Flour, sugar, eggs, milk, butter, vanilla, a pinch of this, a little of that, and a special ingredient! Naturally I love desserts the best, sweets will always make me smile! Over the years I have mastered my skills working alongside some of the greatest bakers, decorators, teachers, and friends. All with something new and exciting to feed my love for cakes and sweets! I had the opportunity to travel and learn different techniques from some of the top most well-known sugar artists. 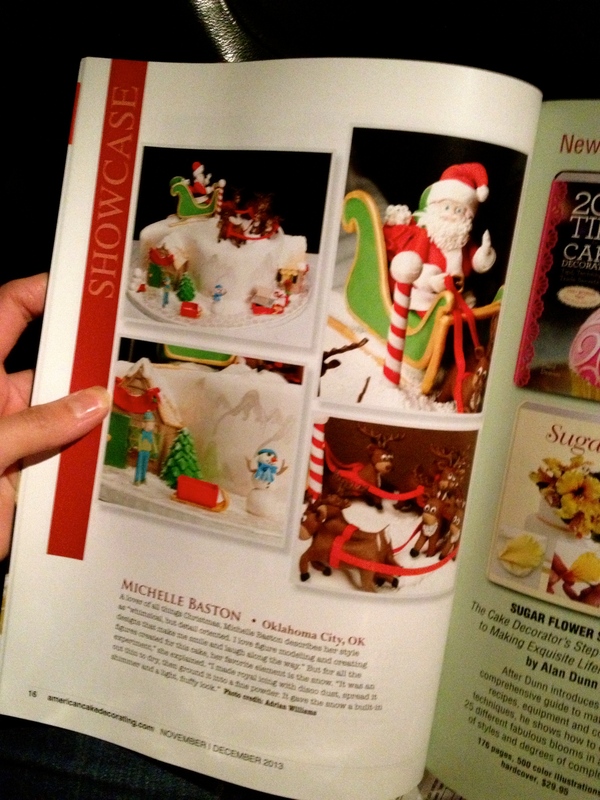 I have award-winning cakes and my work has been featured in American Cake Decorators Magazine and news papers. I am truly doing what I love… seeing the joy on a brides face on her wedding day when she walks in the room and sees her cake…the way a child’s eyes light up when they see their birthday cake knowing that it was made especially for them! It is an honor to be chosen to be a part of so many most treasured and special moments in life with edible art! We are a custom bakery that is by appointment only. We are located in Oklahoma City and serve all the surrounding areas with pick up locations around the city and delivery available. You will contact me directly and I will help you design a cake that is perfect for your event!